WSJ has an article featuring France’s President Nicolas Sarkozy announcing a well-being index. PARIS -- Nicolas Sarkozy was elected president two years ago on a pledge to boost France's economic prosperity. Now he is suggesting a different way to measure that prosperity -- one that includes factors such as vacation time, health care and family relationships. From now on, to gauge the economy's health, France will consider well-being in addition to the classic measure of gross domestic product, Mr. Sarkozy said Monday in a speech at the Sorbonne, part of the University of Paris. 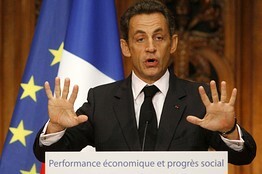 France's President Nicolas Sarkozy delivered a speech at the Sorbonne University in Paris on Monday. The strategy is driven by top economists. In the speech presenting the findings of a committee headed by Nobel Prize-winning economist Joseph Stiglitz, the president said new measures are needed in the wake of the financial crisis, which was triggered by an overreliance on free-market principles. "If the market was the solution to all problems and was never wrong, then why are we in such a situation?" asked Mr. Sarkozy. "We need to change criteria." And, sustainability is referenced as a reason for the change. In the longer term, the panel said, governments must pay more attention to sustainability to determine what level of well-being can be maintained for future generations. 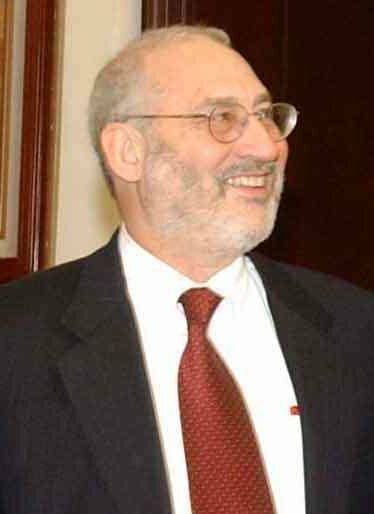 The green theme is mentioned in SFGate’s reference to Nobel-winning economist Joseph Stiglitz. The Nobel-winning economist Joseph Stiglitz has authored an important new study proposing new, and ultimately more accurate, ways of measuring a country's wealth. The very formulas for measuring growth and prosperity turn out to be biased such that environmental protections will always look like short-term caps on growth, when, ultimately long-term growth and survival depend on preserving our natural resources.